Eco molding is a professional mold making manufacturer,located in Guangdong province of China, started from 1998, as a member of Guangdong Mold Association, occupies 4,000 square meter workshop area, with the newest and advanced facilities, focuses on mold making and the development. Working with many customers such as Toyota, Honda, Hitachi, Electrolux etc, our company aims to become one of the best high technology companies in mold making. Eco molding has skilled and experienced project teams. All members have over 15 years of experience in working in the field, so we know well about HASCO, DME standards. Our project engineers will work closely with you with skilled English language. 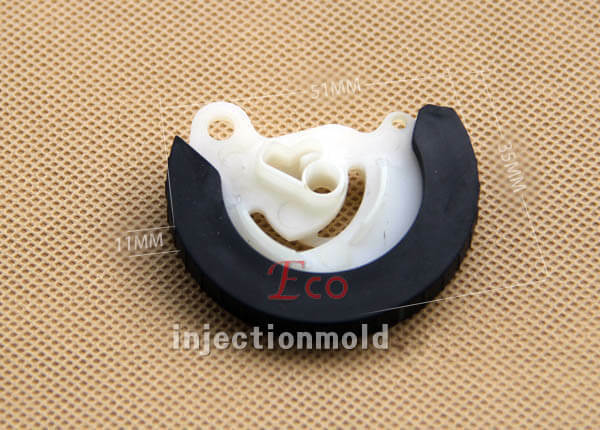 Eco Molding Co., Ltd. can provide project estimation, quoting, manufacturing, and good after sale service, etc. We look forward to hearing from you and to working with you. 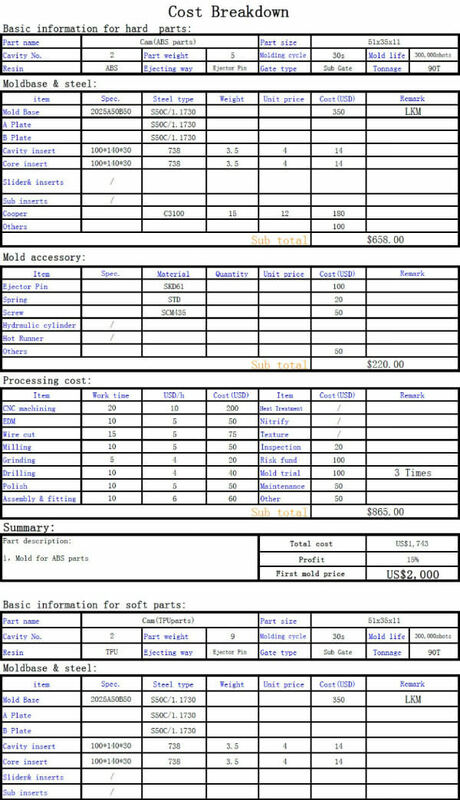 Below product picture is the mold cost breakdown for the product as picture show,is it competitive?